Many of those that used MS-DOS in its heyday, would remember spending time on these two files – AUTOEXEC.BAT and CONFIG.SYS to optimise and configure their PC as needed. Sometimes careful placement of commands were needed to maximise the 640 KB of conventional memory to avoid “out of memory” errors for Windows applications and games. When you knew you had overall 8 or 16 of MB RAM in those days thinking you had plenty, let’s just say it had its moments of frustration due to TSR (Terminate and Stay Resident) programs and so forth. Fortunately we don’t need to worry about now, but I think the flip side to that was that it felt like an accomplishment when you had your PC well configured at a time when using a computer wasn’t common knowledge like it is today and with ever increasing automation. For those running MS-DOS in some form, this is a quick reference guide to both of these files, and what many of the more common commands meant. Usually on Drive C or boot floppy disks, both of these files are located on your start up disk at the root directory (i.e. at A:\> or C:\>). I guess as a follow-up to my previous post about running Windows NT 3.1 under Oracle VirtualBox, I thought to share how this OS looks in the physical sense as it was a challenge to obtain a copy. Once the partnership with IBM faltered with the development of OS/2, Microsoft went alone and Windows NT was born back in 1993. Microsoft’s first true 32-bit operating system, it generally was to be seen only on high-end desktop workstations and servers. The first version was 3.1, to match the versioning of the more consumer orientated Windows 3.1 that was released a year prior. 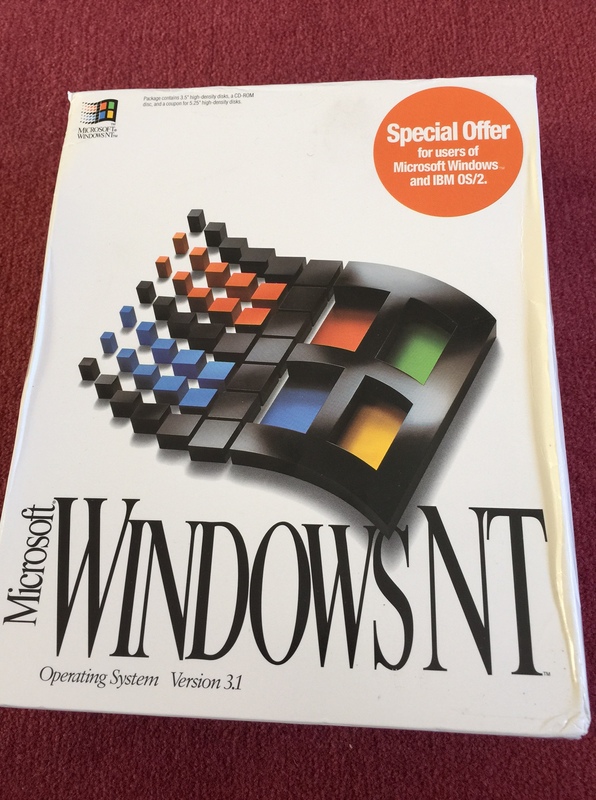 There was two editions – one named simply Windows NT 3.1 for workstation use, and the other named Windows NT 3.1 Advanced Server which obviously suggests for servers on a network. A relative lack of 32-bit software and higher system requirements meant success was limited and most of the attention was towards MS-DOS and Windows 3.1. Installing Windows NT 3.1 is certainly not the easiest Windows to install into VirtualBox due to a few limitations. It’s very easy for the VM to crash or for NT 3.1 to complain about the hardware due to what was available at the time. Back then, Intel had been beta testing their new Pentium processors to supersede the 486, and introduced the CPUID instruction set which allows software to identify the CPU’s features. By default, it’s a no go when installing unless Setup detects specific 386, 486, or Pentium processors. IBM released the ThinkPad 380 series back in 1997 as a mid-range laptop to use essentially as a desktop replacement. These were part of the long running 300 series dating back to the early 1990s when IBM released a 386 laptop known as the ThinkPad 300. While initially housing the original Pentium processors, the 380 series had typically used a Pentium MMX or later a Pentium II. From what I can tell, these normally were preloaded with Windows 95, though drivers are available for Windows 3.1, NT, and OS/2 as well.